How are Schools Implementing Solar Energy? Over the past few decades, solar power has proven to be a more economical and clean alternative to fossil fuels. According to the Department of Energy, taxpayers spend around $6 billion per year on energy costs for K-12 schools. Additionally, it’s estimated that school energy costs are around 25% more than what is actually needed for day-to-day operations. As a result, many schools and education centers are taking advantage and installing solar power systems as a long-term, cost-cutting measure. There are several options for solar panel installation in schools. Solar panels must be placed in an area that receives direct sunlight for the majority of the day, preferably on the roof of a building or in a large plot of land that is not covered by trees or other obstructions. Most schools are equipped with plenty of roof space in which solar panels can be installed. As long as the roof is structurally sound and strong enough to withhold the weight of the panels and receive consistent contact with sunlight, it qualifies for solar panel installation. The roof mount system is the most common type of solar installation. Electrical wires are threaded underneath the roof and attached to solar panels installed on the roofing structure. Schools can place solar panels on top of shade structures in their parking lots, allowing the school to gather lots of solar energy while also shading cars from the heat of the sun. These can be placed on top of existing canopies that are strong enough to support the weight of the panels. Special structures can be built for this purpose as well. Because most may require new construction, this may be the most expensive solar option. If a building does not have a large enough structure to hold solar panels, they can be installed on the ground or on the sides of buildings through pole mounts. Large steel beams are bolted to a building or underground to support solar panels and angle them for optimal solar energy collection. Ground mount panels are similar to pole-mounted solar power systems, but they are attached to metal stands and placed on flat outdoor surfaces, such as an open field. These types of solar energy systems are typically the easiest and least expensive to install. Many ground-mounted solar panels can also be placed on single-axis or dual-axis systems which move to follow the rotation of the sun, which allows them to collect more solar energy throughout the day. Just as the name implies, this type of solar panel system is built right into the structure of a building. In the past, photovoltaic systems have been used on the roofs and walls of buildings through specialized panels or solar tiles. Canopies and awnings that provide shade throughout the campus can be used to hold solar panel systems. This can include canopies over stadium seating, playgrounds, or other locations on campus that receive lots of sunlight. The cost of installing a solar panel solution is unique to every organization. The price can vary based on a number of factors including the size of the facility, practicality, sunlight exposure, or overall need. For example, a campus may not want to be powered entirely by solar panels. Instead, they may only want to supplement some of its power with solar energy. In that case, startup and construction costs would be cheaper. Solar panel installation costs also vary from state-to-state. On average, the cost per watt is around $2-3 and may be lower in some situations. Some states offer larger tax credits for switching to solar, while others have higher permit costs. Performance Services is pleased to partner with the National Energy Education Develop (NEED) project to provide K-12 solar curriculum printed sets, hands-on solar classroom kits and onsite teacher training for solar installations. 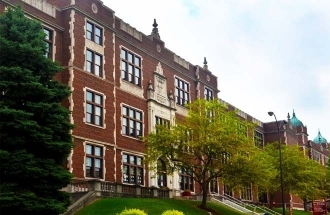 The K-12 education program supports and improves science and energy education in participating schools, improves environmental sustainability at the local level, and serves to broaden and improve the teaching of energy and environmental issues and content in classrooms of all grades, and learning abilities. You can learn more about our partnership with NEED by reading the press release. 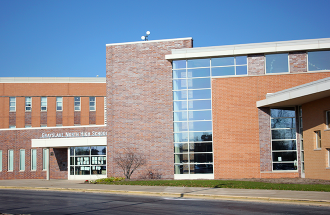 Schools are an important part of any community, as they provide a place where people learn and grow. 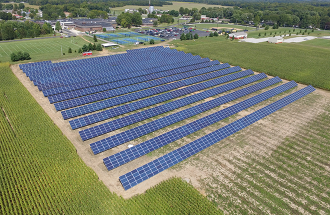 When an educational organization decides to pursue solar power and clean energy, it is setting an example for the rest of the community to follow. In the big picture, solar energy diminishes the building’s reliance on traditional (and expensive) power sources. By decreasing power costs, schools can allocate their budgets for other purposes, such as creating better educational programs or investing in community improvement projects. 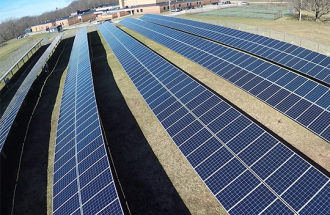 Transitioning to solar power does not necessarily mean that a school will consume less energy. However, by using solar, schools can draw less from fossil fuels, which are more expensive and negatively impact the environment. While startup costs for a larger school will certainly be expensive, over time, the savings will justify the initial investment. Furthermore, schools have a number of financing options to pay for upfront installation costs of integrated solar power systems. These include bonds, loans, equipment leasing, or in some cases, third-party financing. As the price of electricity steadily increases year over year, schools that use solar energy can save an average of over $1 million in annual energy costs. 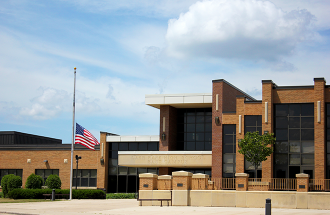 The largest solar system for a public school corporation in Indiana is at Michigan City Area Schools. They have a 2.83 megawatt ground mount system at seven school locations and will save $704K annually, and $23 million over 30 years. 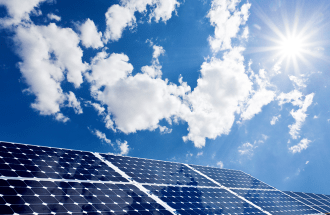 Additionally, many states offer tax credits, rebates, and other incentives for municipal and commercial buildings to install solar panel systems. Solar power is helping schools all over the world conserve energy costs and help communities be more environmentally friendly. Currently, about 5,500 schools in the United States have converted to solar power, collectively saving them millions of dollars annually. Solar energy is also helping schools in impoverished countries gain access to better technology and education. Schools in Africa and Central America are using solar power to light up their buildings and extend classroom hours, allowing more students to attend. Schools play a pivotal role in building a strong future for communities throughout the country and across the globe. 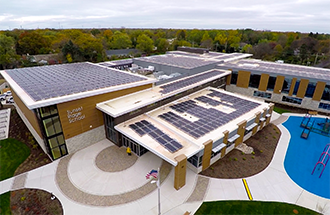 By transitioning education centers to solar power, schools can harness this clean energy source to power their buildings and equipment and set an example for the entire community to follow. Have More Questions? 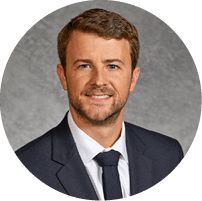 Contact Brian Ondyak, P.E., CEM, LEED AP, our National Solar Director for more information about solar power in schools.